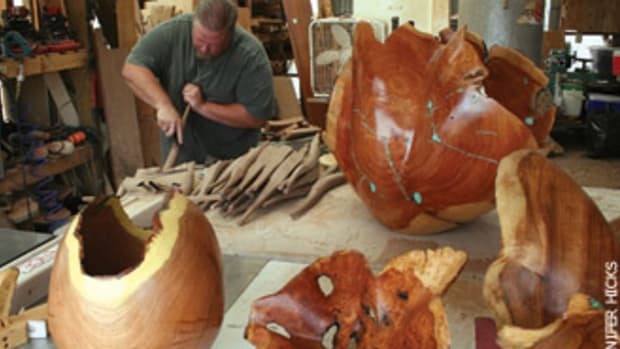 Handcrafted Cabinet and Furniture Co. is a custom woodworking operation based in Phoenix that was started in 1984 by Steve Mosley. 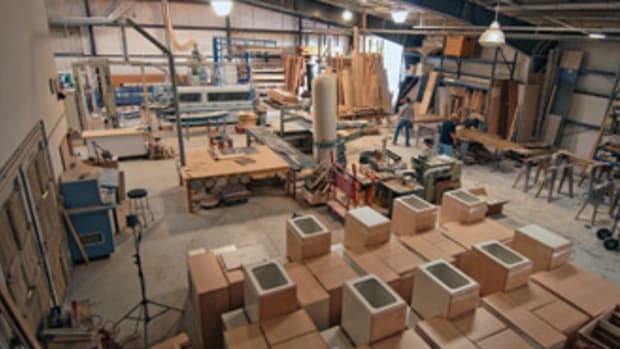 With the help of eight employees, the shop designs and produces freestanding furniture, doors, millwork, residential and commercial cabinetry and more. The shop’s market extends north to Flagstaff and Prescott and, despite the dismal economy, it’s been running recently at full capacity. “Right now, we’ve never been busier. We’re in a depressed market, so we tend to be very competitive with our pricing. We know how to charge in order to make it work. Obviously, our margins are down, but we’re grateful that we’re busy and I’m able to keep my guys busy,” says Mosley. Mosley grew up in Blanding, Utah, and moved to Phoenix at age 7 with his family in 1969. 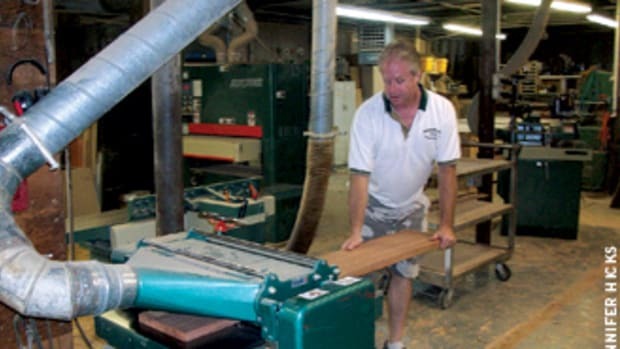 Steve Mosley Owner of: Handcrafted Cabinet and Furniture Co. Location: Phoenix Shop size: 8,000 sq. 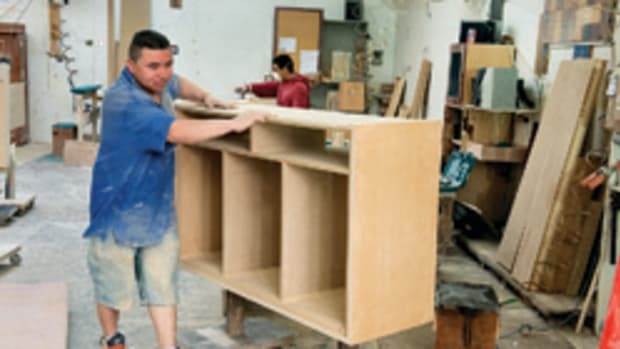 ft. Employees: Eight About Mosely: He’s taken his love of woodworking and his flair for precision and built a company that has completed more than a thousand jobs, from the basic drawer repair to a solid-wood theater room, from an entire hotel of armoires to the smallest kitchen. Payment schedule: Requires 60 percent of the cost of the job as an up-front deposit. Another 30 percent is required upon delivery. The final 10 percent is due upon completion of installation. 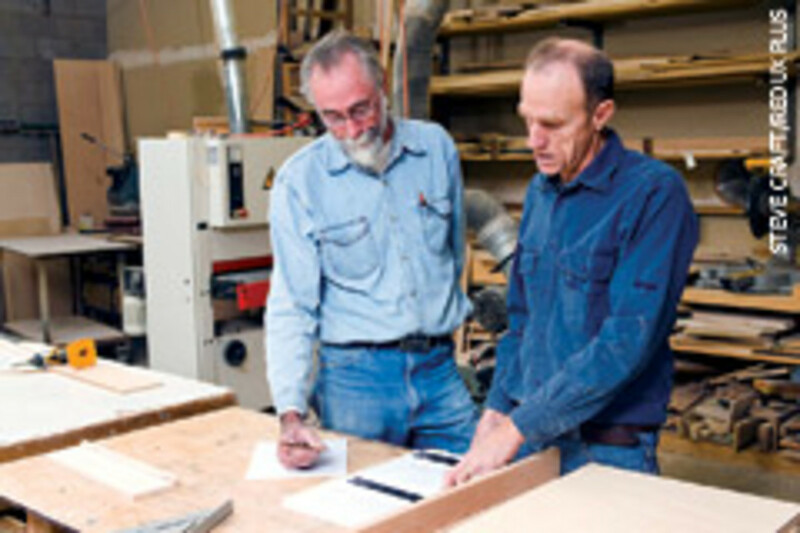 Mosley started doing custom residential woodworking projects on the side and began working for himself out of his garage. His early client base was small, but business quickly picked up enough for him to justify a move to a large property with an acre of land where he built an 1,800-sq.-ft. shop. Six years later, he moved to his current 8,000-sq.-ft. building, of which he rents about 25 percent to other tradesmen. The Southwest region has proven to be a good location for his business. “Having grown up in Utah in my younger years, I hated the snow and cold. That’s one of the reasons I moved here. Now I have a large geographic area with a nice climate and a large client base I can handle,” says Mosely. Mosley says that a vast majority of the company’s work — about 95 percent — is and always has been for the residential sector. The small segment of commercial work is for a contractor who does hotel renovations in Las Vegas and California. 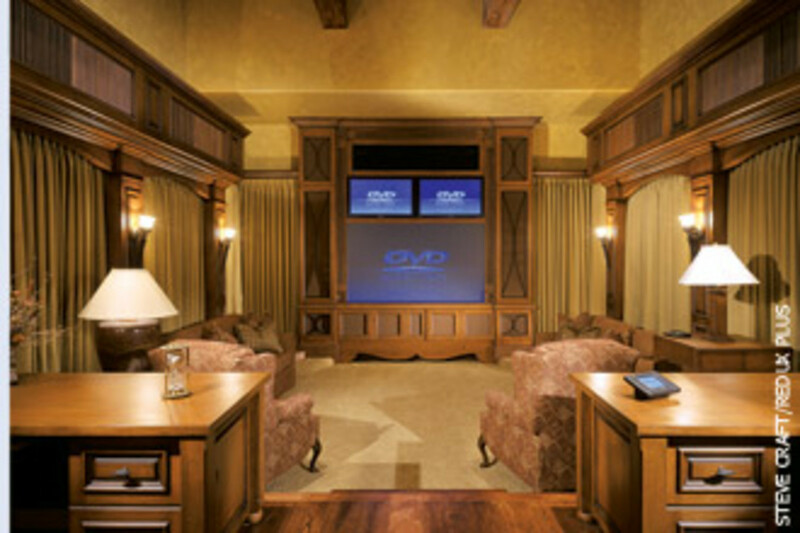 The shop has had some high-profile clients through the years, including professional athletes; Dan Harkins, owner of the Harkins Theatres cinema chain; Stephen Rizley, CEO of Cox Communications, and federal judge David Campbell. Mosley says the company has also enjoyed a solid relationship with the area’s builders because the shop has the skill set and track record of getting the job done. Its annual gross is $800,000 to $1 million. Mosely tries to keep prices reasonable to keep clients happy and manage the moderate competition. “We don’t have a whole lot of competition and we rarely have a bidding war. I always make sure and ask up front how many others I’m bidding against. If there are 10 or more, I won’t even waste my time because it’s better spent doing other things. If there’s someone who’s willing to give away work, it’s not worth it. 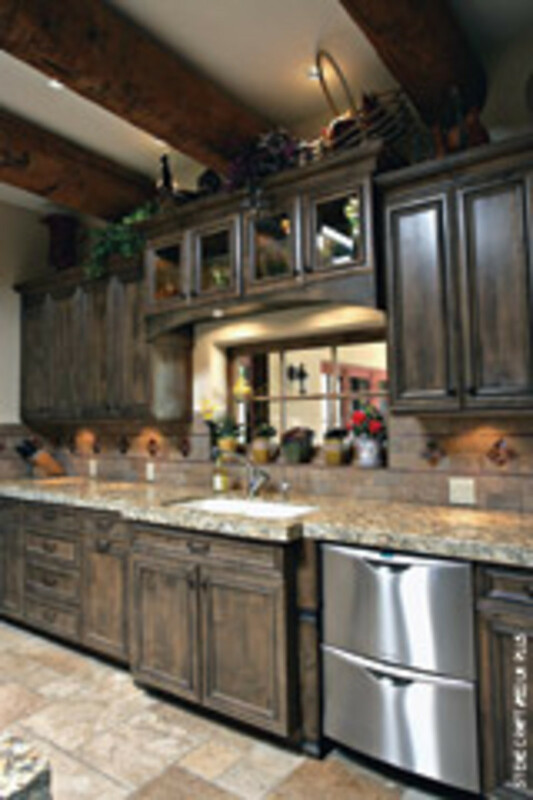 Most clients seek raised-panel cabinets with moderate ornamentation. But the shop is capable of producing modern designs and there are plenty of styles to choose from in the showroom attached to the shop. “What we see the most is what you would call traditional or Old World style. We have gotten involved in some contemporary designs, which make up about 10 percent of our work,” says Mosely. The company also offers lines of framed and frameless cabinetry, which can be given a custom touch. A range of hardwoods are offered and clients tend to select species with darker, richer hues, such as cherry and walnut. 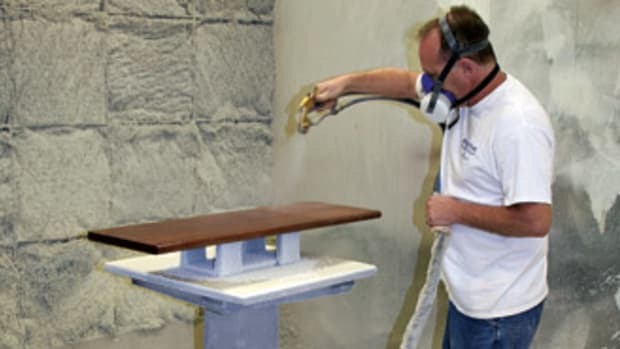 All pieces are finished in-house in the shop’s custom spray booth. Mosley says finishing is where clients tend to express their true tastes. A client recently wanted nine different finishes for nearly every room in his house. 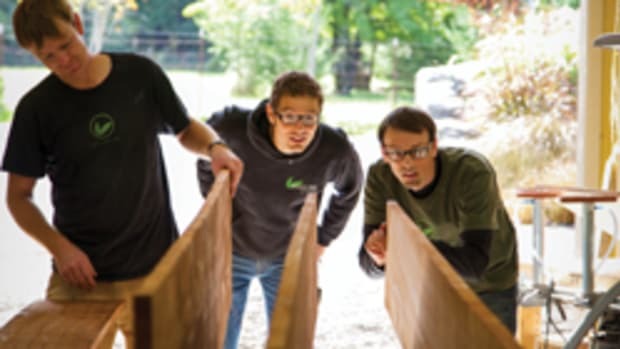 While his multiskilled employees remain busy in the shop with everything from cutting and sanding parts to final assembly, Mosely works in the office doing estimating and preliminary designs. The designs are then passed on to the shop’s in-house CAD/CAM programmer with an architect’s background. Also essential to the shop’s daily operation is the Onsrud CNC router the company purchased about eight months ago. Right now, Mosley says braving the economy is at the top of the list. Mosley says he would like to grow the business and he has the space to do so. He says his most challenging task is managing the finishing department. 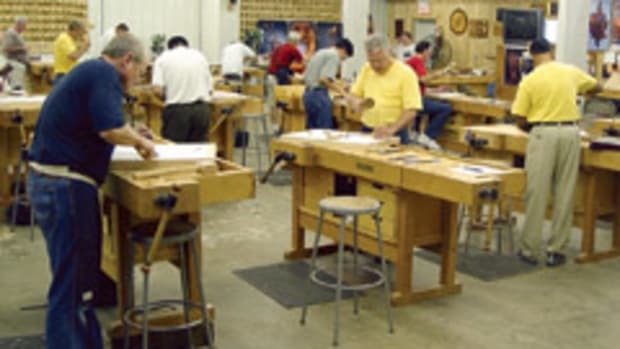 He says that while offering an unlimited amount of finishes is attractive to designers and builders, following through with their requests usually takes more steps than expected. 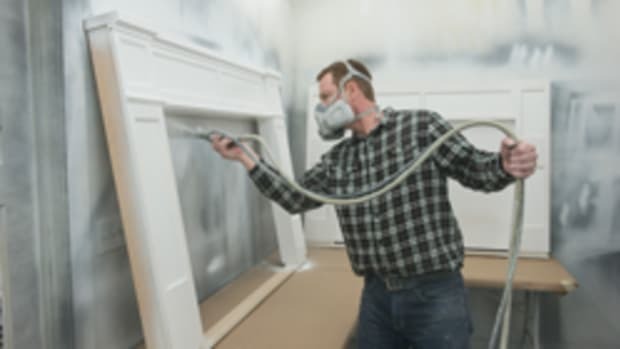 Still, he wants to continue offering a wide variety of finishing and other services to keep the appeal and give clients several options.